New-to-IDEA Families, don’t forget to register for the 2019 – 20 school year! New-to-IDEA Families, once you have completed registration, it’s time for you to attend Welcome to IDEA! Our tuition-free public schools are open to all students. We will grow to 97 schools in 2019. We serve Pre-K to 12th grade students across 5 regions. Since our first graduating class in 2007, 100% of our seniors have been accepted to colleges and universities nationwide. By 2022, IDEA will operate 173 schools in 10 regions educating a hundred thousand students on their road to and through college. 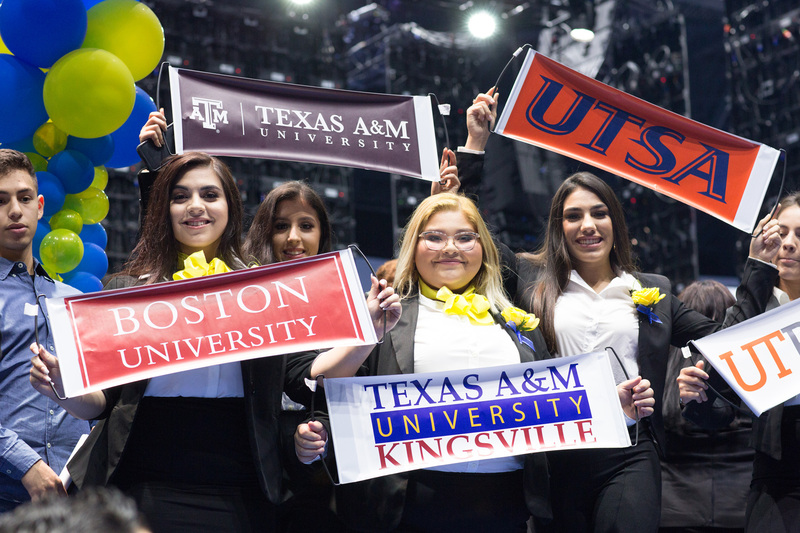 From Pre-Kinder to 12th grade, IDEA Public Schools is focused on sending 100% of our kids to college. Read all about the road to college.